Its Henry Young. How are you doing? I am trying to remember the last time we spoke - was it after we called out the fire brigade because I dropped that cigarette down the side of your sofa? Your photo was much appreciated . My wife saw that VH1 series about CH/Gene Simmons - and wanted me to locate a picture. If you have next years (or any others) that would be appreciated too - I'm hoping my haircut had improved by the Third Form (although I don't think it had). I hope you are well. I have so many (good) memories of the two of us at CH. Sure can, I'll dust it off and scan it in soon. Is that Henry Young, or another Henry? mrhenry wrote: Its Henry Young. How are you doing? I am trying to remember the last time we spoke - was it after we called out the fire brigade because I dropped that cigarette down the side of your sofa? Ah yes - the fire brigade - happy days! Send me your email address on a private message and we can catch up properly - lots to talk about after 16 years! 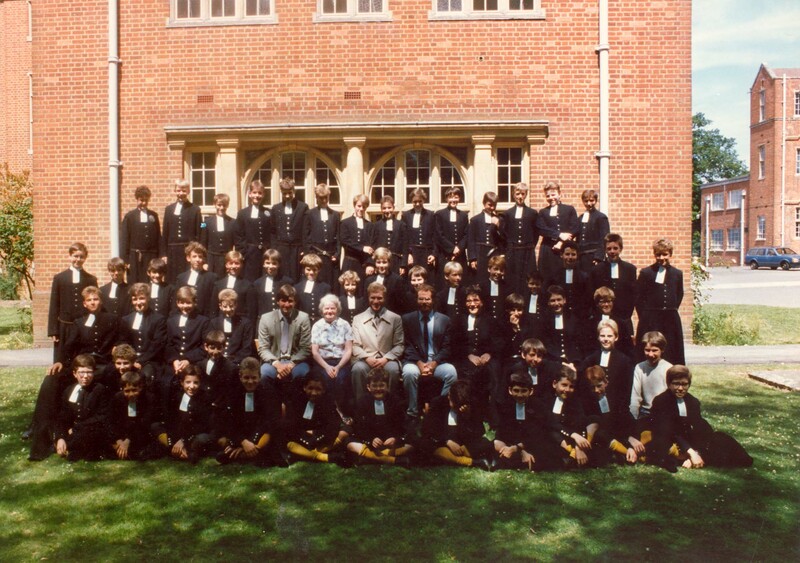 jhopgood wrote: Amazing, I can't even recognise my brother, who is now, and I thought was then, bespectacled. Other ex Barnes B is Dearsley, of cricketing fame. I remember your brother mainly because he once told me he was from Eltham and I came from Shooters Hill. Dearsley was an excellent bowler. I remember batting in the nets one day and Dearsley and Topliss decided to give me a bit of a peppering. I'm pleased to say that, more by luck than judgement, I managed to avoid being bowled out by them. Even my brother can't recognise him in the photo. Did you know the Gathercoles, who lived in Shooters Hill Road, down the bottom end on the left going down? He was an exact contemporary of mine in Barnes B.
jhopgood wrote: Even my brother can't recognise him in the photo. Did you know the Gathercoles, who lived in Shooters Hill Road, down the bottom end on the left going down? He was an exact contemporary of mine in Barnes B. The name rings a definite bell although I cannot come up with a face. 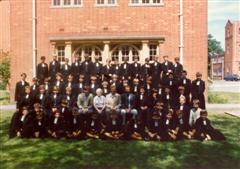 On my left in the Barnes B 1961 photo. srcudlipp wrote: Ah yes - the fire brigade - happy days! Send me your email address on a private message and we can catch up properly - lots to talk about after 16 years! Does good equal the rampacnt spikes, or the foppish flop! As I would rather forget most of my follicular experiments at school, you are getting very brave - I hope your wife has a GSOH, my other half laughs at nearly all my old school photos (not that hers are much better). Ohmigod it gets worse, although I am pleased to say I still have a full head of hair. Saw Ben Todd (now a Mirror showbiz journo) moonlighting on some dodgy sky celeb "before they were famous mingers" (or some other trash) and was sad to see the most tonsorial of us all had moved onto the Ross Kemp look (don't transfer to the Sun, Ben, we know what their editor does to guys with shaven heads!!). Was it Sam? Sound more likely to have come out of Mark Wenmans mouth. And yes, seen Ben in the press - guess that's what too much hair styling does to you. I'm guessing that would be Ben Davies, although that's just from remembering the roll-call list rather than recognising him! Been away from thissite for a bit and came back to be reminded about your bleached look, seem to rememebr it was something to do with sun-in and your insistance that you hadn't used sun-in but had been windsurfing in some toxic lake! My God! I think most of them are my photos. I scanned them years a go and sent them to Edwin (who I have not seen since I left I don't think). I'm not even sure where the originals are now, so it is good to see them again. You're right, there may have been a few shandies consumed in the Mid B 97 photos. 5th. row:-Doffman, ?, ?, ?, Dingle, Dickenson, ?, Clarke. 4th. row:-Wallace, Arden, Bindoff, ?, ?, ?, ?, ?, Viner, ?, Sully, Somerville?. 3rd. row:-Lush ? Fletcher, Dixon, ? Clarke, Lupton, Compton, Wood, Schaeffer, Maule-Cole. 2nd. row:-Adams, Davies, Trowel, Monroe, Mr.Hazelhurst, Mr.Crosland, Matron, Newey? Earl, Courtney, Stevens. Front row:-Rendall,Parry, Squire,Brunst, Mills, Blades, Forster, Moore, Cox, Dixon, Jelly. Can anybody help with filling in the queries?